As it turns out, that trumpeter was the legendary AACM musician and composer Wadada Leo Smith, an avant-garde jazz vet who has been making music since the ’60s. After the show, Matsuzaki and Saunier introduced themselves and were struck by Smith’s kindness. He gave them a copy of his latest album. Years later, when the experimental rock quartet was planning a 2009 show at the Echoplex in Los Angeles, they contacted Smith about playing together. He agreed. “I couldn’t believe it,” Saunier recalls. A week before the show, Saunier received an email from Smith saying, “Send me some of your tunes, so I know what to play.” Unbeknownst to Deerhoof, Smith didn’t want to open: He wanted to play with them. 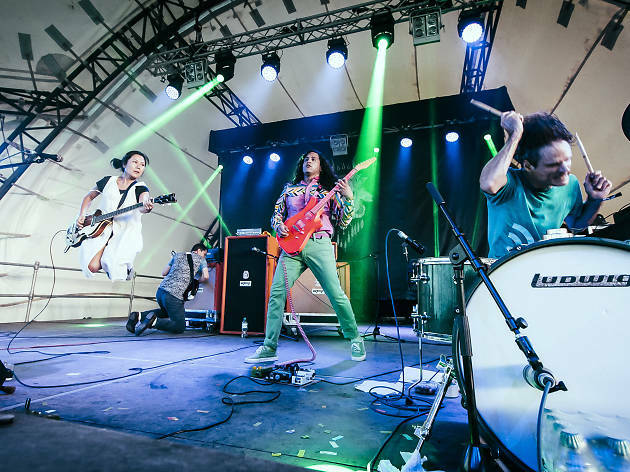 For Deerhoof, a band that’s synonymous with shape-shifting, proggy experimental rock, the pairing was yet another transformation in a career of experimentation. The Los Angeles gig became a favorite memory that the group would tell their friends about—“one for the record books,” says Saunier. One pal who happened to hear the tale was Adam Schatz, coproducer of NYC’s Winter Jazzfest. 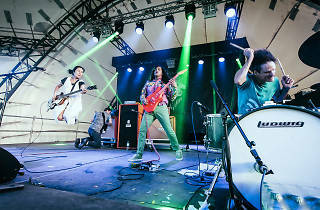 And so, the storied once-in-a-lifetime collaboration will occur once more, as the artists come together to close this year’s festival with a night of improvisation featuring both Deerhoof and Smith’s songs. Deerhoof and Wadada Leo Smith play Le Poisson Rouge Wednesday, January 17 at 8pm (winterjazzfest.com). $25–$30.